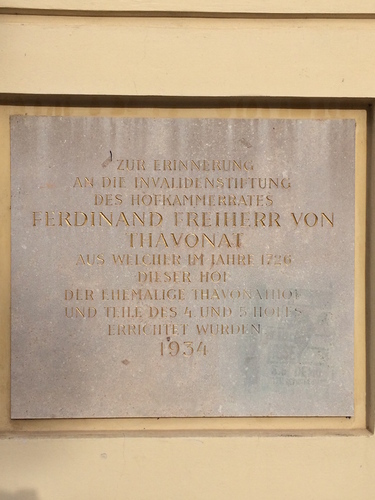 The German inscription on the tablet reads as follows: "ZUR ERINNERUNG / AN DIE INVALIDENSTIFTUNG / DES HOFKAMMERRATES / FERDINAND FREIHERR VON THAVONAT / AUS WELCHER IM IAHRE 1726 / DIESER HOF DER EHEMALIGE THAVONATHON / UND TEILE DES 4 UND 5 HOFES / ERRICHTET WURDEN. 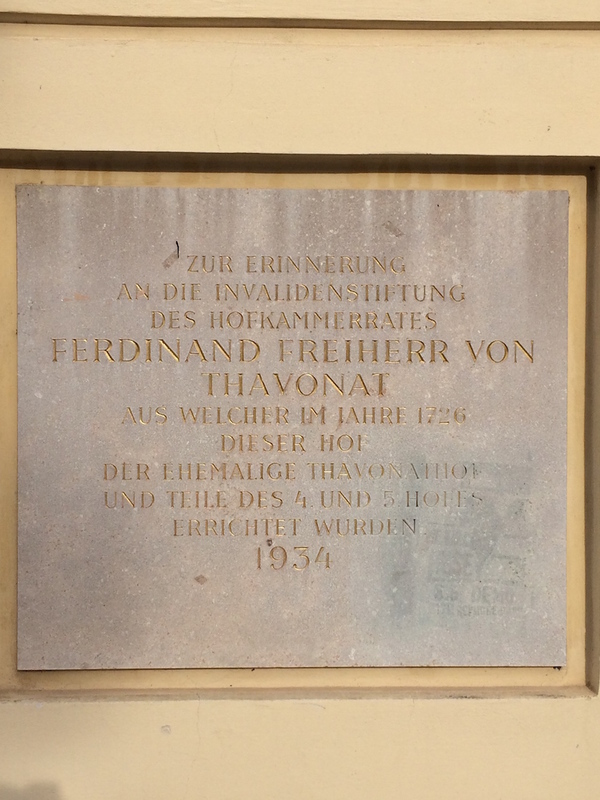 1934" ("In memory of the disabled patients’ foundation by the court’s counsellor Ferdinand Freiherr Von Thavonat, who in 1726 erected this courtyard ,former Thavonat courtyard ,and part of the fourth and the fifth yards . 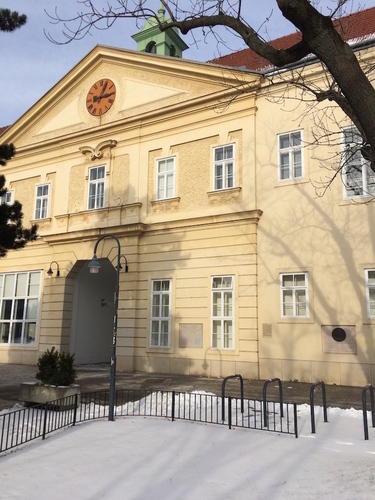 1934").